/ Modified mar 6, 2017 4:23 p.m.
A woman waits for the streetcar on April 5, 2016. 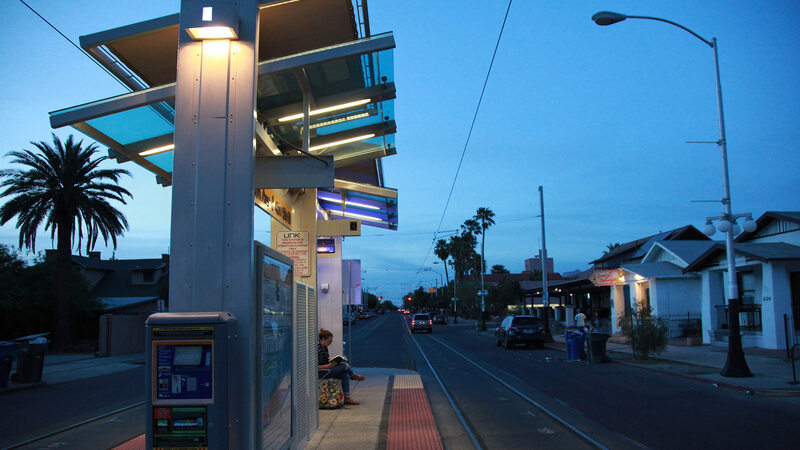 Tucson’s nearly three-year-old streetcar line continues to exceed expectations in ridership and revenues. A monthly report from the streetcar’s operator, Sun Link, says it had more than 450,000 rides last year. General Manager Steve Bethel says ridership has been more than 10 percent above the daily ridership goal of 3,600. Bethel says last year’s revenue was just shy of $900,000, beating projections by about 22 percent. The line runs through five densely populated districts of the city from the near west side through the University of Arizona.